THINK FAMILY. THINK BUSINESS. THINK LIFE. 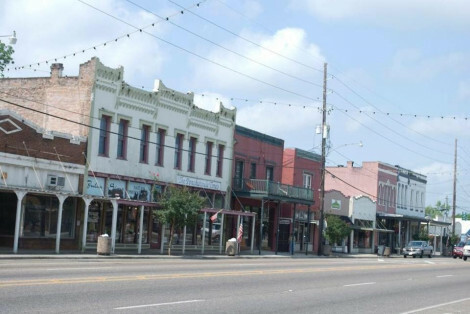 Ponchatoula earned the title of “America’s Antique City” for its many antique & collectible shops, hand-crafted items, and specialty shops housed in historic buildings. In addition, we have some wonderful local restaurants from home-style cooking to casual fine dining. Ponchatoula is conveniently located at the crossroads of interstate I-55 and I-12 less than an hour from New Orleans or Baton Rouge, with lodging and RV parks nearby. For more information contact 1-800-617-4502 or (985) 386-2536. Ponchatoula is a great place to live and work. Our local public schools as well as our parochial school continue to achieve high academic scores and a strong sense of pride in their community. Churches and faith-based organizations abound and offer many opportunities to get involved. In fact, there are many ways to volunteer and become involved in your community. The Ponchatoula Area Recreation Department has a sixty-acre park offering baseball, football and softball for children beginning at age five. It also includes a walking trail and catch-and-release pond. Parks and playgrounds are conveniently located downtown, while the Global Wildlife Center and Tickfaw State Park are just a short drive away. Business leaders are encouraged to join the Ponchatoula Chamber of Commerce and work together with other businesses to maintain and grow a sound economy for our area. Visit our member directory for a complete list of Chamber members and businesses in order to take advantange of all the wonderful shopping, browsing and dining opportunities in Ponchatoula.